Global Express (7:20am, Your Morning Brew) Novalima, Karimba The four members of Novalima are back with 12 new tracks featuring their signature Afro-Peruvian sound. Featured Album of the Week (8:20am, Your Morning Brew) Craig Finn, Clear Heart Full Eyes Craig, from The Hold Steady, describes his solo project as "about being optimistic and open without succumbing to the weariness or doubt that comes with age and experience." Local Pick of the Week (3:30pm, The Home Stretch) Silverbell, Whitewashed Heart Their CD release party is this Friday at Club Congress with Greyhound Soul and Fourkiller Flats. 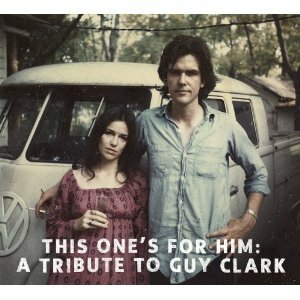 National Pick of the Week (5pm, The Home Stretch) Various artists, This One's For Him: A Tribute To Guy Clark The now 70-year-old Texas singer-songwriter gets honored by everone from Lyle Lovett and Steve Earle to Patty Griffin and Terri Hendrix.